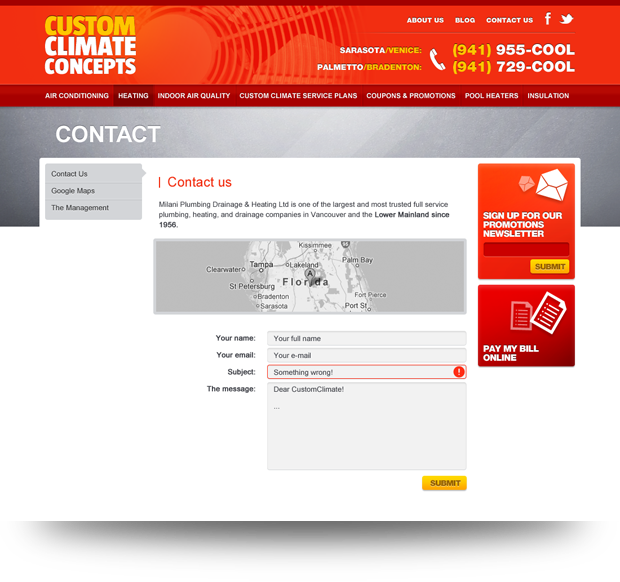 Custom Climate Concepts is a Sarasota based AC repair and replacement company focused on servicing the bay area. CCC came to us looking to jump start their online presence and give them the ability to climb to the top of the search engines and take control of the online leads they were missing out on. We focused on building a very clean websites that showcases their services as well as the foundation of the company. 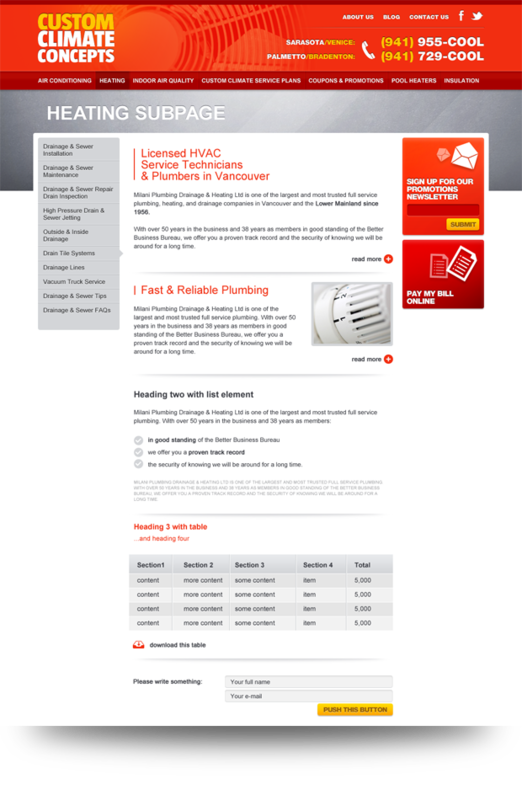 Xplode Marketing designed a unique website that allowed Custom Climate Concepts to focus on selling their services. We integrated this website into a content management system that allows the client to update all pages including the blog, service areas, image rotator, contact page, images and more. We’ve also used our SEO skills to create a program that has allowed him to be on the top for all of his practice areas. Custom Climate Concepts has a strong team of knowledgeable technicians that service Sarasota, Bradenton, Venice, and more.